Available now from CRC Press, “Smart Microgrids: Lessons from Campus Microgrid Design and Implementation” provides a system-level approach to the design of smart Microgrids, covering the entire design process—from roadmap to realization. 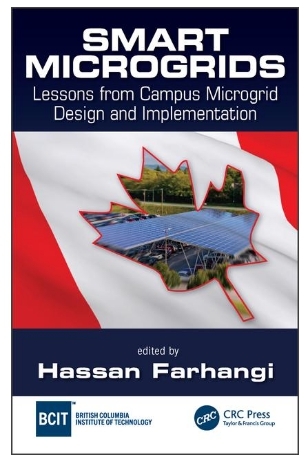 Edited by NSMG-Net Scientific Director Hassan Farhangi, the book details lessons learned and pitfalls to avoid in Microgrid technology, and brings an interdisciplinary approach to design and problem solving for smart microgrids. Posted in General. Bookmark this page.